Isn't that a wonderful word, delectable. Somehow, the C and the T stuck side by side give a marvellous clarity to the sound and what on earth am I going on about? Sorry, there's a reason for it. February is my month to be bee leader and I like to find a block that is both a bit of a challenge and makes some sort of secondary pattern within the quilt . 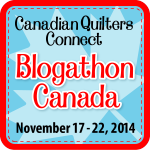 I was wandering around quilt land when I happened on Elizabeth Hartmann's blog (as I often do) and noticed a beautiful quilt pattern with gradations of solid colours making a fabulous pattern. She mentioned that it was a variation of the delectable mountains quilt block. My sewing world's window overlooks my "delectable" mountain, Mont Sutton. It's where my children learned to ski and snowboard and where we spent many happy hours en famille. In this very grey, gloomy and cold winter, it struck me as perfect. So off I went to create my own version of this block. 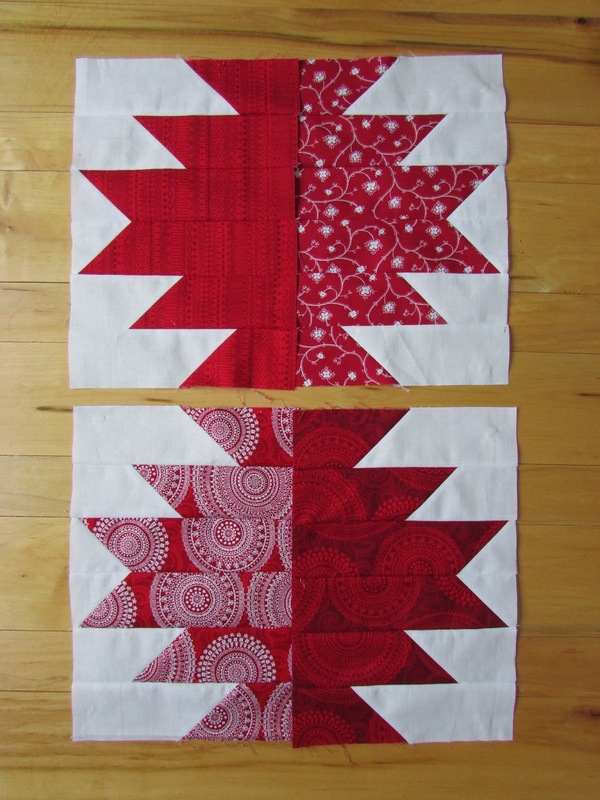 I've been admiring monochromatic quilts for a while and thought that being February, a red and white block would be perfect, so I made one, just to see how it went. Then I made a few more, because I wanted to see the pattern. And then I made many of them--because I was in love with how they looked. I used a tutorial by quiltsbyjen that was very useful. Unfortunately, I couldn't get a picture of the many, but I'm sure they'll show up again! They look so simple, don't they, but I spent many an unhappy moment up close and personal with my seam ripper. But, then I had the awful realization that the block size didn't match the requirement for the bee. Grrrrrrrrrrr! No matter, I shall continue on my own and finish them. 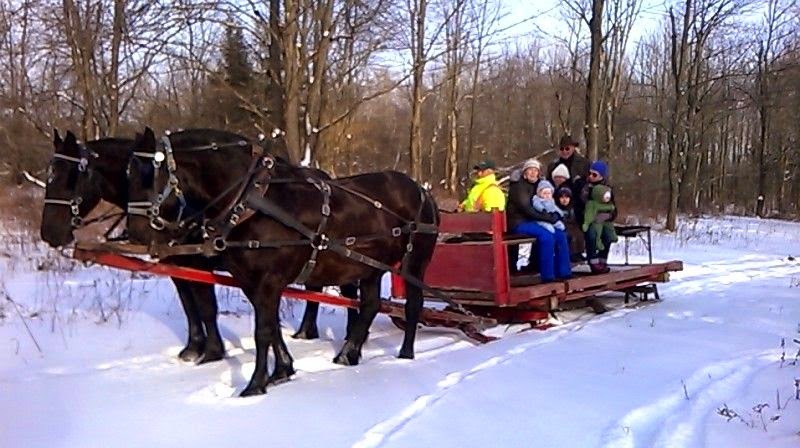 We finally had good enough weather to go on a sleigh ride with friends and their children and grandchildren. Good thing too as it was the only day above -20 that week. I was a lovely ride, but we all got cold by the end. This morning is another winter wonderland, but I loved the sun dog glinting on the side of the trees. It's another cold one, but it is winter! Oh WOW!!! I love that block. I could see gradating many colours to make Northern Lights!! And your sleighride--!! Brings back many terrific memories of riding on a sleigh pretty much identical to yours, with a team of Percherons named Dell and June, driven by my Uncle Bob. And I just happen to be making him a quilt, named Dell and June...talk about serendipity! Okay, looked up Mount Sutton - you're in Quebec! Bonjour! This is another block that is on my list! Gorgeous, gorgeous pictures! The sleigh ride looks amazingly fun! Your blocks look great. Bummer that it does not meet the requirements for your Bee. Good luck finding something suitable! Love your blocks so far! They are delectable! I like the choice of red and white for these blocks. This color scheme always looks so timeless and fresh. I'm looking forward to seeing it come together! Great mountain blocks. I've just discovered this pattern recently and can't wait to try it. Your blocks are indeed delectable. I love that gorgeous red fabric. In fact I have those strips from Connecting Threads. I am adding these to my never-ending list of blocks to try!!! 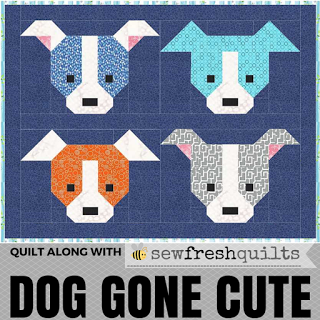 I also love the way some words sound, and those blocks will make a delectable quilt! A wonderful block, even if the name is a bit hmmm different..... Your red and white variation is very nice.